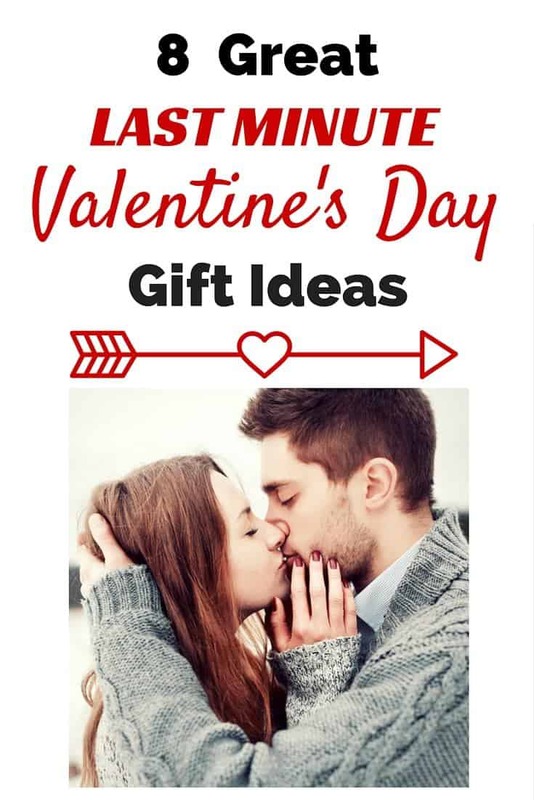 These 8 amazing last minute Valentine’s Day gifts will save you if you waited until the last minute to do your Valentine shopping! Whether you waited until the very last-minute to do your Valentine’s Day shopping, just set up a date for Valentine’s Day, or you just forgot about the holiday all together, we have you covered! 1. Valentine’s Day card – This may seem obvious, but trust me it isn’t. Without a doubt you should at least have a Valentine’s Day card with a personal message written inside. Don’t show up to your Valentine’s Day date without it! Grab one at the store or print one for free here. 2. Tickets for a concert, show, or sporting event – You can order and print tickets right at home from your computer from Ticketmaster. 3. Love coupons – You can whip up some love coupons for anything from a free back rub to cleaning their apartment. Better yet, make a whole book of them! You can handwrite them, design them yourself on the computer, print premade Valentine's Day coupons, or print customizable Valentine's Day coupons. 4. Dinner in – So you didn’t make reservations, or even if you simply don’t want to eat out this Valentine’s Day… why not order some take-out and enjoy a dinner in? Ditch the paper plates and use the real thing, open some wine, light some candles and dim the lights to set the mood. Volia! A romantic dinner for two. 5. Pamper him/her – Pick up some lotions, candles, bubble bath, body oils, and champagne. Draw a warm bubble bath, light candles, pour a glass of champagne, and after the bath, give him/her a nice long massage. 6. Flowers – Grab a bouquet, or even just pick up a single rose. 7. Gift Card– Not a very personal gift, but desperate times call for desperate measures. Gift card are super awesome last-minute gifts since they can even be printed online from many stores now-a-days! For example, Amazon offer's e-gift cards that can be e-mailed to the recipient or print at home gift cards. 8. Box of Chocolate – Picking up a heart-shaped box of chocolates has to be the easiest gift to grab last-minute; they are for sale at nearly every food store, pharmacy and convenience store. There you have it – 8 great last-minute gift ideas! Your best bet: a combo of the above, such as Dinner In, Love Coupons, a card, and a rose. If you use any of these last-minute gift ideas, we’d love to hear how they worked out for you! My favorite is going for Dinner in a better place. This is the best thing that I ever seen. My lover is alltime happy when I took him in restaurent for dinner.